I left one career in public service to join another. 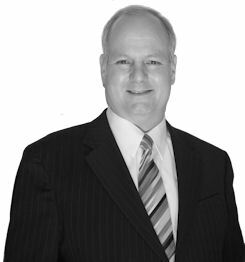 I retired after working for thirty-two years with the North Olmsted Police Department and I am now practicing law in the areas of criminal defense, bankruptcy and estate planning. Thirty two years in criminal justice taught me that the work of a attorney is every bit as important to justice as the work of the police, prosecutors or the court. As a police officer, I believed in helping and assisting all groups of people, including those I arrested. Working in criminal defense, I now continue to provide that help by assisting those who need an informed, knowledgeable and savvy advocate. I have degrees in Public Safety Management, a Master of Public Administration and a Juris Doctor from Cleveland State University. I also had three years of Electrical Engineering training from Ohio State. I am admitted into the Ohio bar. I am admitted to the United States District Court for the Northern District of Ohio. 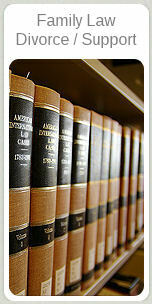 I am a member of the American, Ohio State, Lorain County and Cleveland Metropolitan Bar Associations. I support the American Society for Public Administration and the Administrative Theory Network. I offer my services to the Cleveland Legal Aid Society and the Cleveland Metropolitan Bar Association's Pro Se Divorce Clinics. I am active in the Northeast Ohio Driver's License Reinstatement Project which seeks to help those who have lost their driver's license regain their operating privileges. I have earned a number of pro bono awards. I am expert in the operation of traffic signals. For twelve years I maintained the traffic signal system for the City of North Olmsted. I became expert not only in maintaining the signals, but in the operation of the hardware and software that define the signals. I became expert at signage and many of the engineering requirements necessary for proper traffic flow. I now offers that expertise through my traffic signal company, Wolf's Signals, LLC, and in expert testimony offering forensic, post-accident reconstruction. This experience is invaluable in assessing the proper application of criminal law when a client has been charged with signal or sign issues.. While in public service, I was trained to analyze and maintain the alcohol breath test unit made by National Patent Analytic Systems, Inc. I was certified to fix the unit down to the component level. My work on the Datamaster leaves him with in-depth knowledge on both its operation and on those who operate it. I am fluent in computers and computer networks. I have written and sold computer programs. I am knowledgeable on all forms of electrical and electronic circuitry. I am fluent in a number of computer languages. In my free time I hike, bike, motorcycle, enjoy amateur (ham) radio, my two dogs and camping in my motorhome. I am located on the southeast corner of Lorain Road and Country Club Boulevard in the city of North Olmsted, Ohio. The building is called The Community Building. It is the only seven story office building in the area. Across Country Club Boulevard is Saint Richard Catholic Church. Across Lorain Road are the Wendy's and Ruby Tuesday restaurants. I am just west of Great Northern Shopping Center. Get off the first Great Northern exit to go north on Great Northern Boulevard. When you turn off the exit, get into the left turning lane for Country Club Boulevard. Turn west on Country Club Boulevard. Continue west on Country Club Boulevard until you see it will end on Lorain Road. Turn right into the parking lot. Get off at the only Great Northern Boulevard exit and turn left to go north on Great Northern Boulevard. When you approach the second traffic signal, get into the left turning lane for Country Club Boulevard. Turn west on Country Club Boulevard. Continue west on Country Club Boulevard until you see it will end on Lorain Road. Turn right into the parking lot. My office is on the RTA Route 75 bus route.